* EGYPT (RLPB 312), where despite all assurances from the government, the indigenous Christian Copts are treated as dhimmis (second class citizens). Denied legal rights, the Copts are powerless and defenceless in the face of escalating religious intolerance in Muslim Brotherhood strongholds. We prayed also for Bishoy Armia (formerly Mohamed Hegazy), a Muslim convert to Christianity. In prison (again), Bishoy is being deprived of his Bible and nobody but his lawyer is permitted to see him. 'Remember those who are in prison, as though in prison with them ...' (Hebrews 13:3a ESV). * UZBEKISTAN (RLPB 313), where repressive legislation aimed primarily at controlling militant Islam and maintaining social cohesion is used extensively against Protestant Christians. The resurgence of Cold War tensions causes Russia-allied governments to deem Protestants potentially hostile, while the tendency of Protestants to witness to Muslims causes authorities to deem them problematic. For the dictatorial regimes of exceedingly volatile Central Asia, everything (including religious liberty) is defined with a view to stability. 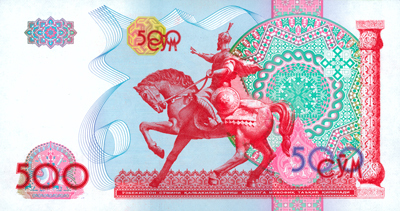 These are difficult days for Central Asia's Protestants. * PRISONERS (RLPB 314), remembering especially the Reverends Yat Michael and Peter Reith in Sudan, as well as numerous Christian pastors and evangelists imprisoned in Iran -- especially those who have had their sentence extended or who have been transferred to the ultra-violent maximum security Rajai Shahr Prison. 'Remember those who are in prison, as though in prison with them, and those who are mistreated, since you are also in the body.' (Hebrews 13:3 ESV). In early June Nigeria's new president, Muhammadu Buhari, moved the command centre for the military operation against Boko Haram from the capital Abuja, to the Borno capital, Maiduguri: i.e. into the heart of the conflict zone. 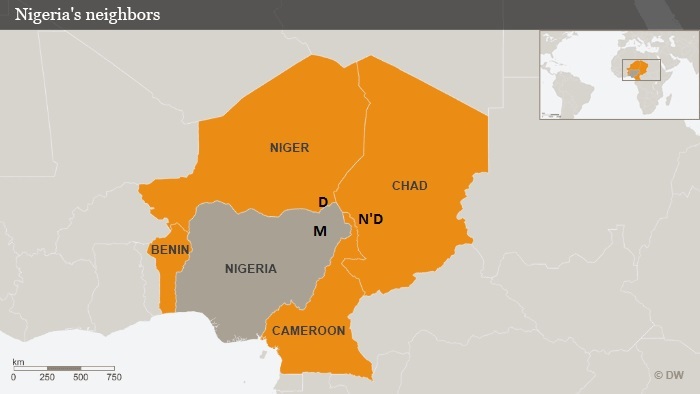 In a subsequent meeting, the leaders of Nigeria, Niger, Chad, Cameroon and Benin ‎agreed to set up the headquarters of the 8700-strong multinational force to fight Boko Haram in N'Djamena, the Chadian capital. The multinational force [see RLPB 296 (10 Feb)] is scheduled to begin operations on 30 July. Boko Haram has responded by escalating its attacks. NIGERIA (51 percent Christian; 45 percent Muslim). On 22 June two teenage girls were deployed as suicide bombers in a crowded market area of Maiduguri. One girl exploded near a mosque, killing about 30 people; the other girl ran from the market, screaming as she went. Nobody else was killed when she exploded. As in other cases where young girls are used, these girls were most probably remotely detonated. There is grave concern that Boko Haram is strapping explosives to kidnapped girls, specifically kidnapped Christian girls. It was the fourth suicide bombing in Maiduguri this month. NIGER (97 percent Muslim; 0.3 percent Christian). On 17 June Boko Haram jihadist gunmen attacked Ungumawo and Lamina villages in Diffa, south-east Niger, killing at least 38 people as well as burning homes and property. CHAD (53 percent Muslim; 39 percent Christian). On 15 June Boko Haram suicide bombers on motor bikes rode into N'Djamena, the capital of Chad, exploding outside the national police academy and another police facility, killing at least 37 people and wounding more than 100. Following a directive of Chadian President Idriss Deby, Prime Minister Kalzeube Pahimi Deubet declared an immediate ban on the burqa (full body and face covering) which he said had no history in Chadian culture and was being used as 'camouflage'. Security forces were sent into the markets to seize all burqas and burn them. The proudly secular government also launched a crackdown on 'foreigners' and launched air-strikes on at least six suspected Boko Haram positions inside Nigeria. Long War Journal (LWJ) has identified a total of 117 jihadist training camps across Mesopotamia, 85 in Syria and 32 in Iraq. At least eleven of those camps are used exclusively to indoctrinate and provide military training to children. Whilst some camps might be closed and others have been hit in coalition air-strikes, LWJ acknowledges there are doubtless many other camps that have not been advertised or identified. According to LWJ, Islamic State has operated 57 camps (30 in Iraq, 27 in Syria) and al-Qaeda's Al-Nusra Front has operated 23 camps inside Syria. A further 37 other camps (35 in Syria and two in Iraq) are run by other groups, including ethnic groups. There are eleven camps for jihadists from the Caucuses (South Russia), four Uzbek camps, two Uighur camps, as well as Gazan, Moroccan and Kazak camps. 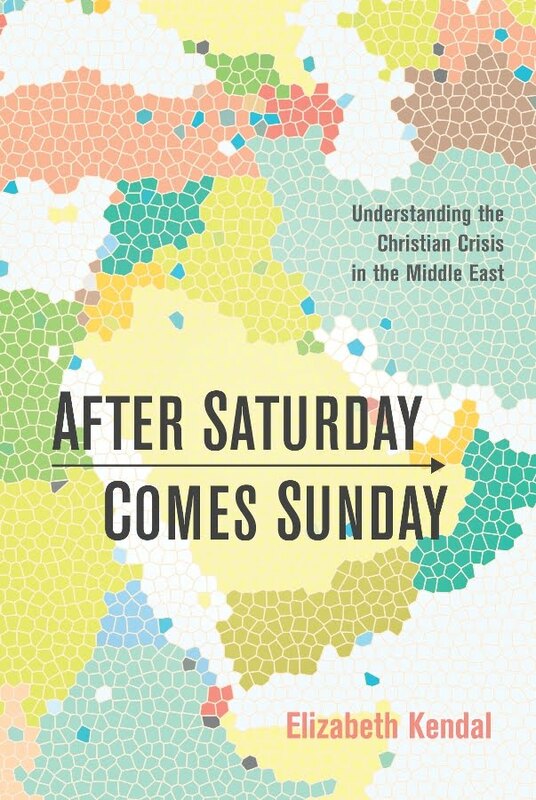 While this presents an enormous threat to global security, it presents an even more immediate and existential threat to the Christians of Mesopotamia. Today, Mesopotamia's mostly Assyrian Christian remnant is hunkered down behind heavy security, mostly in Iraqi Kurdistan behind the peshmerger (Kurdish forces), and in government-controlled areas of Syria behind the SAA (Syrian Arab Army). On 15 June more than 300 rebel rockets rained down on Aleppo, killing 42 civilians and wounding more than 200. Despite having access to US-made anti-tank guided missiles, the rebels were not able to storm the city but were driven back by the SAA. When al-Nusra led the storming of Idlib, the first layer of attack was conducted by waves of suicide bombers. This layer was missing in the 15 June attack on Aleppo. Rebel shelling continues; two Armenians died when Qasser al-Baladi municipality was shelled on 20 June; they were Pastor Eduard Petrosyan, a missionary from the Word of Life Church of Armenia, and Garo Megerdichian (Abu Hagop) of Aleppo. The SAA is fighting back, mostly from the sky. The rebels will doubtless move to restore the siege around the government-held areas of Aleppo, which is still home to thousands of Armenian and Assyrian Christians. They may even seek to have al-Nusra brought into the alliance. Meanwhile, ISIS fighters are poised north of the city. If the rebels do manage to drive back government forces (which we pray they do not) ISIS will doubtless move in to absorb or overthrow the rebels. Pray for the Christians of Aleppo. 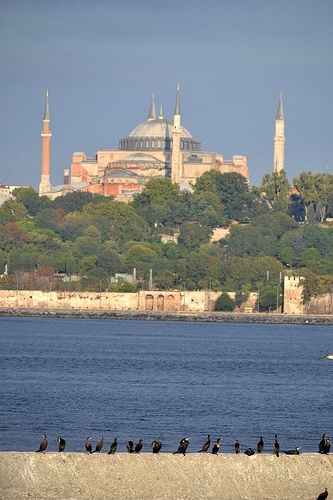 Tensions are escalating over calls to open the 6th Century Byzantine Hagia Sophia (Holy Wisdom) church as a mosque. When Ottoman Turks conquered the Byzantine capital of Constantinople (now Istanbul) in 1453, they immediately turned the church into a mosque. World War One culminated in the break-up of the Ottoman Empire. In 1924 the Caliphate was dissolved and in 1935 the now UNESCO World Heritage listed Hagia Sophia was opened as a Museum. As fundamentalist Islam has revived, calls to open the former church to Muslim worship grow louder. On 24 May [i.e. just ahead of 'Conquest Day' -- see RLPB 213 (5 June 2013)], hundreds of Muslims protested outside the church, demanding it be opened as a mosque. Some pious Turks are asserting that the conquest is not complete until all traces of Christian heritage are erased. On the evening of 9 June in an attack that may or may not be related to the Hagia Sophia issue, a Muslim screaming 'Allahu Akbar' (God is greater) set fire to a door at the Hagia Triada (Holy Trinity) Orthodox Church in Kadikoy, Istanbul (just across the Bosphorus Strait from the Hagia Sophia). While damage was minimal, church members are understandably anxious. Pray for the Church in Turkey. Middle East Concern reports (18 June 2015): "At today's hearing the prosecution produced one person who gave testimony, but brought no new evidence against the pastors. The next hearing is due to be on [Thursday] 25th June. The prosecution said they have two more witnesses to give testimony. "In the legal process the next step is for the judge to make a preliminary ruling on whether he believes there is any basis for the charges against the two pastors. If there is no basis, he will drop the charges and the case will be finished. Otherwise he will allow the case to proceed to trial. "The defence lawyer believes the judge will make this ruling at the next hearing due on 25th June and, although there is not really any evidence against the pastors, the lawyer expects that the judge will allow the case to proceed to trial." Nothing cultivates empathy like a shared experience. In the absence of a shared experience, it helps at least to imagine ourselves in others' shoes. And so the writer of the Epistle to the Hebrews encourages us to 'Remember those who are in prison, as though in prison with them ...' (Hebrews 13:3a ESV). Imagine being torn from your distressed family, interrogated by violent men, falsely accused, denied access to a lawyer and then locked up with violent, anti-Christian criminals. Imagine your sense of helplessness as your family is menaced. Imagine your sense of despair when, after enduring years of prison, your sentence is extended. Now imagine how much you would appreciate knowing that the Church of Jesus Christ has gone into battle for you and is speaking out, providing aid and assistance to your family and interceding on your behalf before your Father in the High Court of Heaven. SUDAN: Updating RLPB 309 (12 May). Rev Yat Michael (49) and Rev Peter Reith (36) are pastors from the South Sudan Evangelical Presbyterian Church (SSEPC). 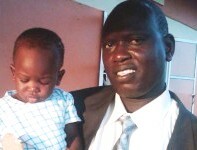 Rev Yat Michael was arrested on Sunday 14 December 2014 after he addressed a persecuted congregation in their partially demolished building in Khartoum Bhari (North). Rev Peter Reith was arrested on 11 January 2015 after enquiring about the well-being of Yat Michael. Initially detained in the low-security Omdurman Men's Prison, the men were transferred in early June to the high-security Kober Prison in north Khartoum. Right up to the day of the hearing (15 June) their families and lawyer were denied access to them, presumably on the orders of the National Intelligence and Security Service (NISS). IRAN: Updating RLPB 300 (10 March). 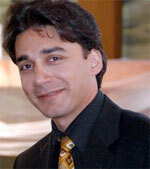 Pastor Farshid Fathi (35) was arrested in December 2010 and sentenced to six years' imprisonment in February 2012. Intelligence agents then menaced and threatened his young family until they fled overseas. In April 2014, a raid was conducted on Fathi’s ward; alcohol was found and blamed on Fathi. In August 2014 Fathi was transferred to the maximum security Rajai Shahr Prison, along with another Christian prisoner, Alireza Seyyadian (serving six years). On 29 December 2014 a Revolutionary Court sentenced Farshid Fathi to an additional year in jail. Denying any link to the alcohol found in the ward, Fathi appealed. On 24 May 2015 the court upheld the ruling that Fathi receive 74 lashes plus one additional year in jail. Arrested in February 2012 for Christian activities, Homayoun Shokouhi was granted conditional release in November 2014, only to be rearrested in February 2015. His detention has been harsh and Middle East Concern is requesting prayer. Ebrahim Firouzi (30) was arrested in August 2013, sentenced to one year in prison but never released. In March 2015 Firouzi's sentence was extended by five years; he also is in Rajai Shahr Prison. 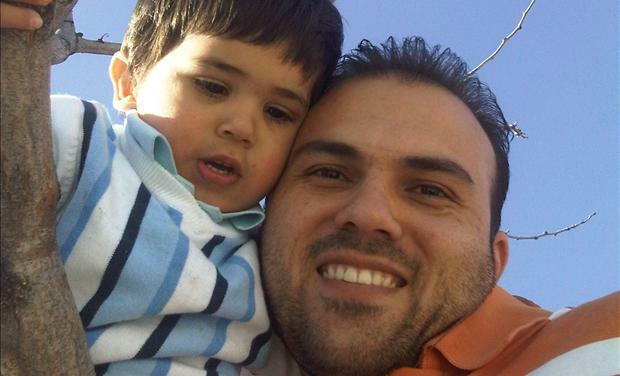 Pastor Saeed Abedini (36, a US citizen) was arrested in July 2012 and transferred to Rajai Shahr in November 2013. On Wednesday 10 June Pastor Saeed was violently assaulted by fellow inmates as he left his cell. Though his eyes were blackened, he did not suffer any broken bones. The inmates also smashed up his study desk. Rajai Shahr is a violent place and each assault leaves a legacy, physically and psychologically. Other prisoners also struggling with harsh sentences and health issues include: Maryam Naghash-Zargaran (37) who was arrested in December 2013, suffered a heart attack in Evin Prison in September 2013 and in November 2014 was forcibly strip-searched; and Pastor Behnam Irani (42) who was arrested in 2010, came close to death in 2013 and is not due for release until 2017. * concerning Sudan's president Omar al-Bashir (a recognised war criminal) and the ruling National Congress regime; and concerning Iran's Supreme leader Ayatollah Ali Khamenei (who has advanced terminal cancer) and the ruling revolutionary Islamic regime; may the God of all grace either bring them to repentance (see 2 Chronicles 33:1-20) or remove them from power (see Psalm 10). The Epistle to the Hebrews encourages us to 'Remember those who are in prison, as though in prison with them ...' (Hebrews 13:3a ESV). Remember Pastors Yat Michael and Peter Reith imprisoned in Khartoum, Sudan, on totally bogus but extremely serious national security charges as the Arab-Islamic regime strives to drive South Sudanese Christians out of Sudan. Please remember also the many Christians suffering extremely harsh sentences in Iranian prisons because of their Christian witness. They suffer from failing health, routine violence and extreme psychological pressure as the revolutionary Islamic regime strives to repress the growth of the Persian Church. Prison walls might keep prisoners in but they cannot keep the Holy Spirit out. Please pray for the prisoners and for justice. Pray Psalm 17. On the morning of 8 May, four Protestants from various churches were travelling together by car when they were stopped at the checkpoint between Samarkand Region and Navoi Region. It seems that Navoi police had been informed that the Protestants would be arriving in town that morning and were waiting for them. According to rights group Forum 18, the driver, Murot Turdiyev, who is known to police because of his Christian activities, is under constant police surveillance. The police inspected the men's documents, but found no fault. They then searched the car, but again, found no fault. When the police then demanded the men open their bags and pockets, Turdiyev called for two witnesses, fearing the police might be seeking to plant false evidence. The police then demanded the men write statements about their travels, detailing whom they have met and what they have discussed. The Christians refused. After more than three hours at the checkpoint, the men were put into a police car and taken to Karmana District Police Station where they were each interrogated, intimidated and threatened. Turdiyev, who seemed to be singled out for the harshest treatment, was punched in the abdomen and strangled by two officers until he lost consciousness. The four believers were released that night after almost ten hours of detention. Uzbek Protestants expressed concerns to Forum 18 that the Karmana Police may have prepared administrative cases against the four men. Whilst the police denied this, they confirmed that an investigation is under way. Fearing police brutality, torture and detention, Guljahon Kuzebayeva, a Protestant who is wanted by police for talking to her family members about her Christian faith, remains in hiding almost a year after police raided her home. On 23 May police delivered an official summons to Kuzebayeva's house, ordering her to present herself to the Karshi Police. Protestants told Forum 18 they believe the police have opened a case against Kuzebayeva under Administrative Code Articles 240 and 241, which ban teaching religious beliefs without training or permission. Whilst Protestants have long suffered harassment and intimidation in Uzbekistan, the situation has deteriorated since August 2014 when the state enacted the law on Prevention of Violations of the Law. The Prevention Law is aimed at preventing all exercise of religion without state permission. The law empowers state bodies, committees and local district councils (mahallas) to enforce religion laws, and requires them to report those they suspect might be guilty of religious crimes. These crimes include 'teaching' religion without training or permission, or storing or disseminating religious materials without permission. Furthermore, when a Christian is investigated for 'prevention measures', their employer or educational institution and mahalla are usually informed, inviting further persecution. Forum 18 reports that on 10 February a Tashkent court fined Ilmira Ishanova and her two sons for 'illegally' storing Christian literature and materials in their flat. who is buried in Samarkand. through the latter part of the14th C.
On 2 March another Tashkent court fined four members of the Yusupov family for 'illegally' storing Christian religious literature and materials in their home. On 23 March a court in Navoi Region fined Dmitri and Svetlana Butov for 'illegally' storing Christian literature in their home. Fines vary from painful to totally unaffordable. 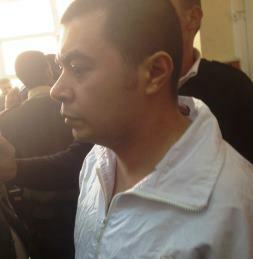 On 17 April police summonsed Murodjon Rakhimov to the local mahalla. When Rakhimov refused to write a statement against his church, he and his wife Gulchohra were summonsed to appear before the police who are now preparing a case against them. In March and April at least three Protestants were imprisoned for between 7 and 15 days for breaches of oppressive religion laws. One of them, Doniyor Akhedov, was arrested on 16 March almost immediately after he handed a gospel leaflet to a passer-by. Along with being detained for his 'illegal missionary activity', Akhedov was also issued a huge fine, which he is refusing to pay. Uzbekistan is a secular state, but religion is tightly controlled. Christians are a mere 0.75 percent of Uzbekistan's population -- about half of them are Orthodox and the rest are predominantly Protestant. Whilst nearly 14 percent of Uzbek nationals identify as having 'no religion', some 85 percent are Muslim (predominantly Sunni). Following global trends, Uzbekistan's Muslims are being radicalised and as radicalisation advances, so too does Muslim intolerance of Christians, especially those who witness to Muslims. The Islamic revolutionary group Hizbut Tahrir is active in Uzbekistan. Additionally, hundreds of Uzbeks are fighting with the al-Qaeda affiliate Jaysh al-Fateh in Idlib, Syria. The Islamic Movement of Uzbekistan (IMU, based in Afghanistan) has pledged allegiance to Islamic State (IS). Uzbekistan clearly has grounds to be seriously concerned about 'extremism'. Instead of helping, the West's Cold War stance just ensures the authorities will view Protestant Christianity (which they regard as Western) with suspicion and hostility. * raise up workers with the necessary language and technical skills for Gospel radio, satellite and internet ministries for ministry in increasingly repressive Central Asia; may Jehovah-jireh, the Lord our provider, provide all their needs. * work in mysterious ways to restore openness and bring relief to Uzbekistan's persecuted Protestants, praying for Uzbek President Islam Karimov, his regional ally Vladimir Putin and Uzbekistan's reform-minded Muslims and praying for improvements in human rights and international relations. May the Lord enable a breakthrough in Uzbekistan. Uzbekistan has enacted a Prevention Law aimed at preventing all practice of religion without state permission. The law empowers state bodies, committees and district councils to enforce religion laws and requires them to report those they suspect might be guilty of religious crimes, such as 'teaching' religion or storing religious materials without permission. Persecution against Protestants has escalated as police raids, administrative detentions and massive fines are issued to believers for simply sharing their faith or possessing Christian materials. Police brutality and torture are endemic. On 8 May Murot Turdiyev (a Protestant) was beaten and then strangled by police until he lost consciousness. Another Protestant, Guljahon Kuzebayeva, is so afraid that she has been in hiding since police raided her home 12 months ago. Please pray for Uzbekistan and its Christians. RIOT: Kafr Darwish is a village located in the city of al-Fashn, around 180km south of Cairo in the governorate of Beni Suef. On 24 May Muslim youths in Kafr Darwish rioted, hurling stones and Molotov cocktails (homemade fire bombs) at the homes of Copts, the indigenous Christians of Egypt. Whilst at least ten homes were burned and a car destroyed, the damage would have been worse had not other Muslims helped the Copts defend their property until the police restored order. This fighting against unbelievers was launched to punish the Copts collectively after a local Copt named Ayman Youssef Tawfiq allegedly posted to Facebook a cartoon which the Muslims deemed offensive to Islam. Whilst Ayman Youssef, an illiterate labourer who works in Jordan, denied the charge, his denial is irrelevant as rioting should not be permitted under any pretext. 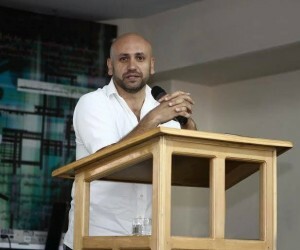 'RECONCILIATION': Reconciliation sessions were convened according to Egyptian protocols: the first was held at the al-Fashn police station and the next in the home of Mayor Ahmed Maher. There it was decided that Ayman Youssef's extended family -- five families comprised of 19 members in total -- should leave the village. The police told Ayman Youssef's elderly parents, who lost their home, crops and cattle in the rioting, they could not (i.e. would not) guarantee the family's safety. On Friday 29 May the Copts of Kafr Darwish began a collective fast and prayer for the return of the families. 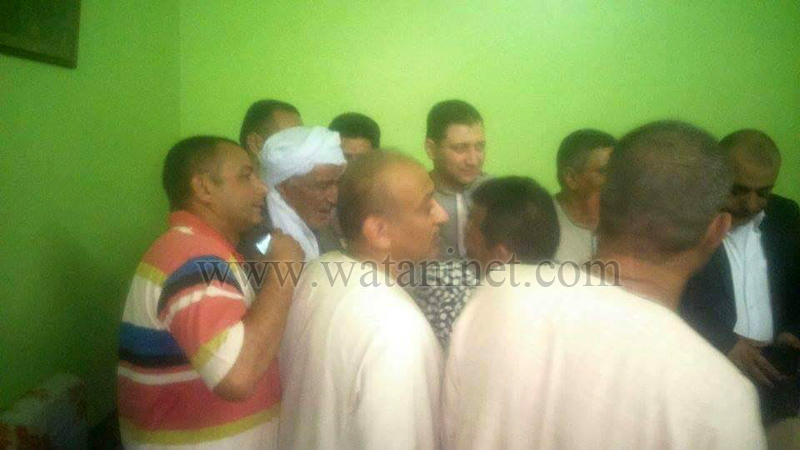 On Sunday 31 May the Beni Suef governor, Muhammad Selim, promised to visit and put things right. While the Copts returned on 2 June (Praise God), 'putting things right' would involve charging the Muslim rioters, securing justice (including compensation) for the Copts, while guaranteeing rule of law, equal rights and security for Christians, all of which are contrary to Islam. Kafr Darwish is not an isolated case. In recent months, near identical stories have emerged out of el-Galaa, al-Our, Abu Qurqas and Taleyhat. As Samuel Tadros told a US House Committee on 20 May, this cycle -- from riot to 'reconcile', or in other words, from fight to subdue -- has become routine, especially in Upper (south) Egypt. 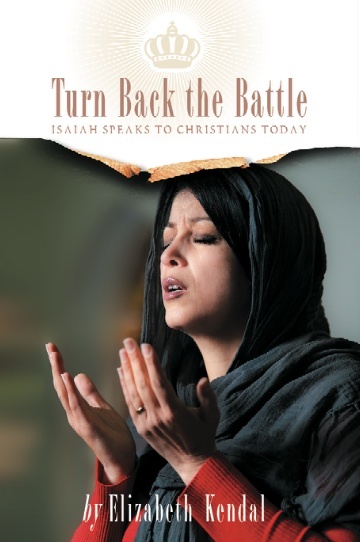 FREEDOM: Long-time intercessors might remember Mohamed Hegazy, who in 2007 became the first Muslim Background Believer to sue the Interior Ministry for his constitutional right to religious freedom. The court ruled against Hegazy on the grounds that Sharia does not permit apostasy. The ruling meant that Hegazy would remain a registered Muslim, ensuring his children would be registered as Muslims and any daughters would be obliged by law to marry Muslims and produce Muslim babies. While Hegazy's wife and two children received asylum in Germany, Hegazy remained in Egypt reporting on religious freedom issues. 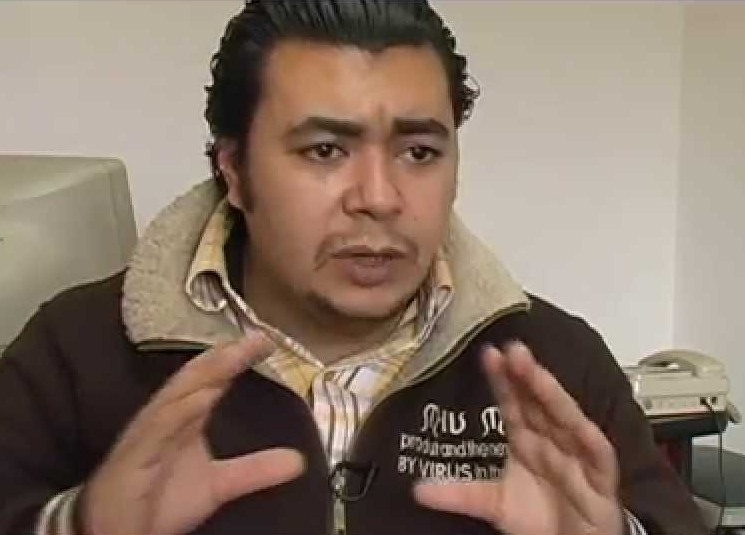 On 5 Dec 2013 Hegazy, who had changed his name to Bishoy Armia, was arrested in Minya governorate while investigating a Muslim riot against Christians. He was detained and questioned for 15 days. 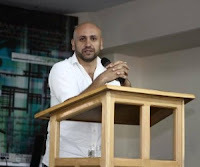 Re-arrested in June 2014 Bishoy was fined and sentenced to five years in prison on charges of inciting sectarian strife, 'depicting Christians as suffering from sectarian oppression', reporting the 'misinformation' to US-based television channel The Way TV, and insulting Islam. [See RLPBs 240 (10 Dec 2013) and 266 (June 2014 Update)]. Bishoy is being held in the high-security Tora Prison where, according to his lawyer Karam Ghobrial, he is routinely beaten and mistreated. Moreover, he is denied a Bible, his glasses have been intentionally broken and his head has been shaved. Convinced that Bishoy's Christian faith is the main reason for the mistreatment, Ghobrial has submitted a complaint to the Prosecutor-General, demanding an investigation. Intolerant Qur'anic Islam continues to advance in Egypt, including amongst police and officials. Furthermore, on 16 May an Egyptian court ruled that former president Mohamed Morsi of the Muslim Brotherhood (MB) be sentenced to death. Before it can be finalised, any death sentence must first be sent to Egypt's Grand Mufti for his non-binding opinion. Originally scheduled for 2 June, the final decision on Morsi's sentence has been deferred to 16 June. President al-Sisi is cracking down on MB influence in mosques. Tensions are soaring and the situation is highly volatile. If the court upholds Morsi's death sentence, an MB backlash is all but guaranteed. Egypt's Christians need our prayers. * comfort Egyptian Christians who have lost property, livelihoods, loved ones and their sense of security at the hands of Muslims who know they can fight them with impunity. May Jehovah-jireh, the Lord our provider, supply their every need, 'according to his riches in glory in Christ Jesus' (Philippians 4:19 ESV). * protect Bishoy Armia (formerly Mohamed Hegazy) and his lawyer Karam Ghobrial and give them both wisdom and strength as they pursue justice; may the Lord intervene to improve Bishoy's situation. * move the heart of Egyptian president Abdel Fattah el-Sisi to have the courage and conviction to move beyond rhetoric and symbolic gestures to ensure Egypt's Copts and Christians enjoy full, equal rights as valued citizens. The Copts, who are Egypt's indigenous Christians, routinely suffer violence at the hands of Muslims who know they can persecute Christians with impunity. A rumour or accusation about even the most minor breach of Islamic protocols is enough to trigger a collective punishment wherein Copts' houses are looted and burnt, cattle killed and crops destroyed. To secure 'peace', the Christians will have to 'reconcile' with their Muslim neighbours by dropping all charges, issuing an apology and agreeing to whatever the Muslim community demands. This impunity is fuelling the escalating anti-Christian violence. Please pray for Egypt's Christians. Pray specifically for Muslim Background Believer Bishoy Armia (formerly Mohamed Hegazy) who is being mistreated in a high security Egyptian prison for his faith. May the Lord intervene in Egypt.